Search Results for "fremont street experience"
Time Lapse-Crowds under the bright lights of the Fremont Street Experience. 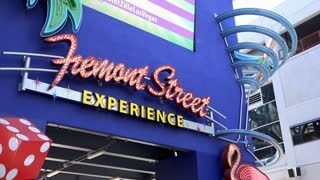 The Fremont Street Experience (FSE) is a pedestrian only area in Downtown Las Vegas, Nevada. Fremont Street Experience Eas End. Landmark Fremont Street Experience in downtown Las Vegas, Nevada. Seen from above looking west from the east end, crowds of tourists passing. Fremont Street Experience West End. Landmark Fremont Street Experience in downtown Las Vegas, Nevada. Seen looking east from the west end,crowds of tourists passing. LAS VEGAS, NV/USA - MARCH 25: The Fremont Street Experience in Las Vegas, NV, USA on March 25, 2016. It is an incredible entertainment and gaming destination in the heart of Las Vegas.